I'm giving away a stoneware koi during the Holiday Riverview Open Studio 2015 event. The requirements: you have to fill out the ticket in person and that ticket will have to have an email address if you're not there at the time it is announced. I promise the email will only be used for monthly (more like bi-annual) newsletters with arty information. I don't believe in selling emails, that's for sure. 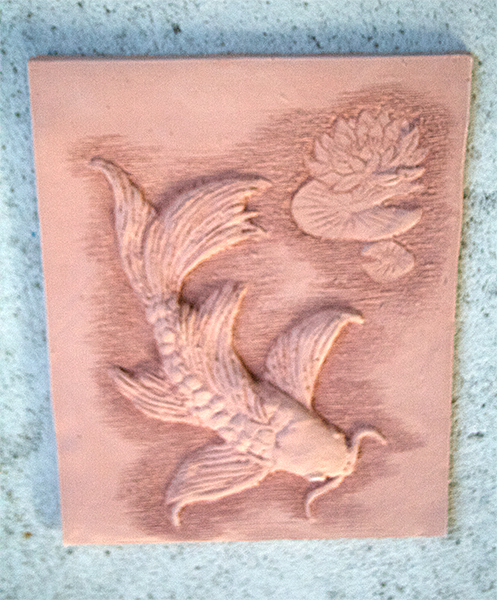 This image shows the piece after its first firing.